I’ve known Tammy a long time (we worked together in Minnesota!) 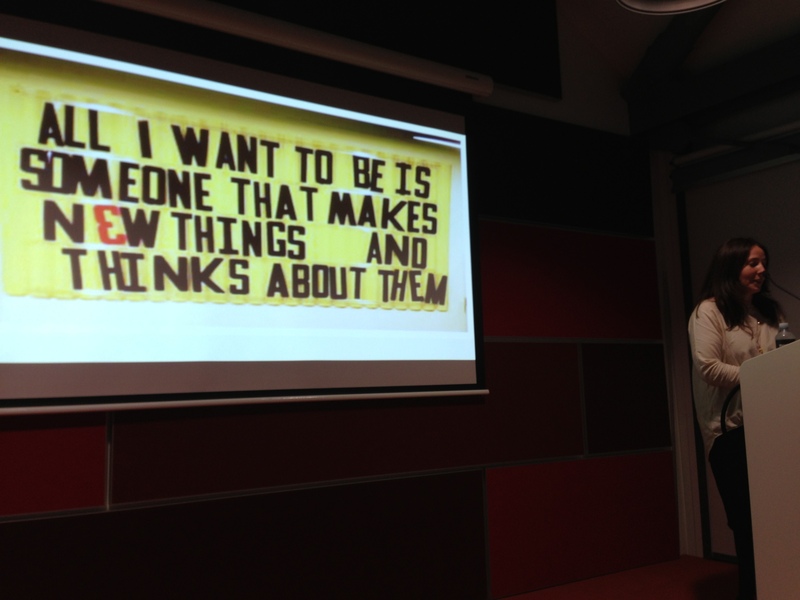 so I know how amazing she is – and I was really happy she agreed to speak at the Girl Geek Dinner we hosted. I thought it was a really interesting talk, about how to support and create innovation. Tammy’s been in UX for a long time, but it has not always been called that. Had had lots of different names, but it hasn’t got much clearer. One interview said they were looking for someone who could build the Death Star. Lots of engineers don’t talk to users. They build systems that don’t talk to each other. Doing great science, but understanding basic typography would serve them well. Made some basic aesthetic changes to a website (“drained the color”) – and users thought it had increased speed by 80%. It had not. Studied engineering and psychology at university. Asked – what if we talked to users? Could they create what they need? This didn’t work. Possibly because she was a beginner researcher. Wanted agency to get things done, so worked with non-profits. Non-profits always need things. Worked on helping increase access to water; the water user of one American is equivalent to 32 South Africans. It turned out, designing a better water carrier better than digging a new well. Then men would help carry water – because they would race things. Helping people build things after Katrina. People who couldn’t afford to flee wanted to build things for themselves. Banks in Australia were guarded from the Global Financial Crisis because of the way they process lending. Banks in Australia face a different challenge – innovation. She did not want to work in a bank – not compelled to swim with sharks. Prior was literally helping to cure cancer (selling DNA). 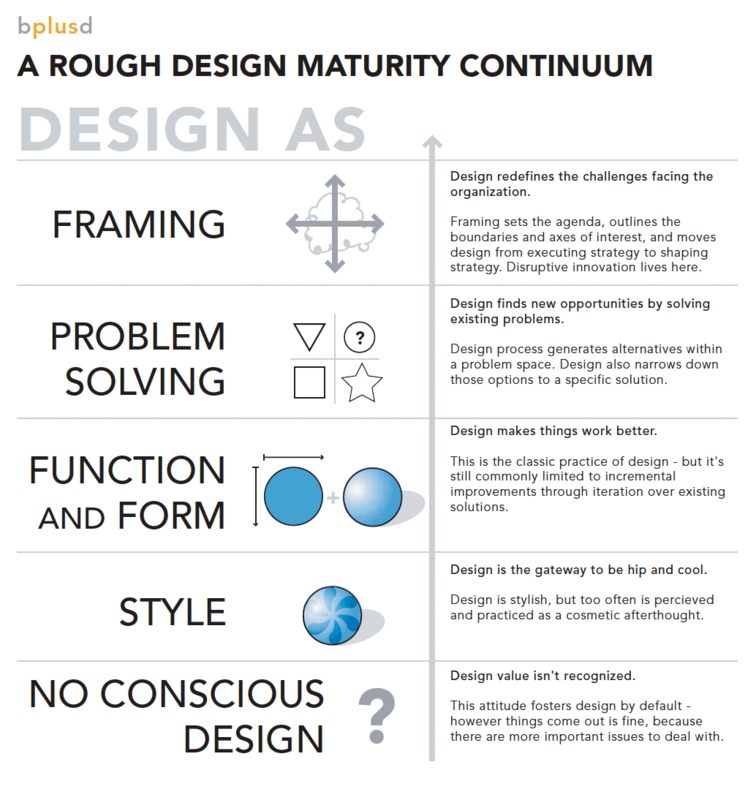 Design Maturity Continuum – design for function and form. Innovation is… doing something different that delivers value. New perspective + right idea + flawless execution = delivers value. Can innovate on: Business Model. Process. Offering. Delivery. Now @ BT group in Westpac. Has drank the cool aid. Gets it. Believes in what they are doing. Better decisions on financials, have greater wealth in super account. Supers work in Australia, because financial literacy is better. “Design thinking: – isn’t more complicated. Balance customer want, business case, and what you can deliver. Makes for a great business model. Financial services are not transactional, they are commoditized. Business only has a future if it helps people manage money most efficiently. Henry Ford – people said they wanted a faster horse. Ask people, but what they say/think/do has a cultural context. The Bank of America “Keep the Change” campaign uses it – so many people save their coins, allows customers to save the change on their transactions. Not everyone has all three, so have to talk to each other. Bring in people early. Use postits on a wall to brainstorm/communicate. Something isn’t the right answer, because it is true for us. Users are different – we are not designing for ourselves. Need to be broader, prototype. Sometimes these will fail. Need to be able to fail without costing careers. Make small bets. Uses idea of business case on a page, and mocking up ideas. This is a cultural mindset, not just a process. Look inside, and outside. Learn in UX classes. Need to bring your whole self for transformational, it requires all the things. Innovation is not the designer – it is everyone’s responsibility.